图库插图: Pink gift box with balloon on pink background. 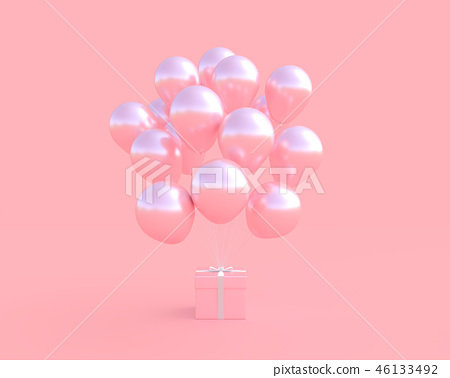 Pink gift box with balloon on pink background and clipping path. minimal and new year concept, 3D Render.